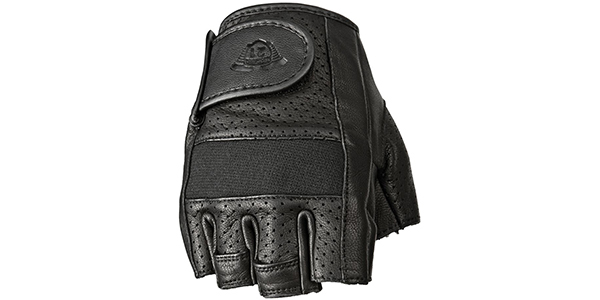 Made from genuine goat skin leather, the Highway 21 Jab Half Perforated Gloves use a dual-density memory foam for comfort and protection. Pre-curved fingers improve comfort and reduce fatigue. The knuckles and palms are padded with an adjustable wrist closure and the gloves have a tactical Aramid outer shell to keep out the elements.